WOVENWAR Premieres New Single "Lines In The Sand"
This Friday (October 21st), WOVENWAR will release their sophomore album, Honor Is Dead, via Metal Blade Records. 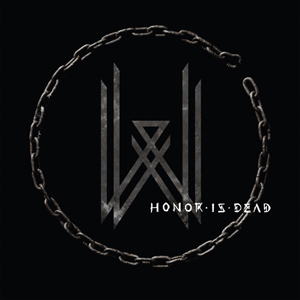 More aggressive and fluid than its self-titled predecessor, Honor Is Dead was written with contributions from all members, while the music for Wovenwar was mostly written before vocalist Shane Blay joined the band. The results speak for themselves, capturing a group that sounds truly unified, and hungry. Watch the lyric video for the new single, "Lines In The Sand", below. For Honor Is Dead, WOVENWAR chose not to converge at the same studio to lay down the record, taking advantage of modern technology instead by recording their individual parts in convenient locales across California, Alabama and Texas - which was not without its downsides. "Recording separately across multiple states at different times with a mixing engineer bouncing between multiple countries made things very tricky," guitarist Nick Hipa admits. "Luckily we've all made records before and everything ended up working out." Expanding upon the ruthlessly catchy melodies and hooks of their debut, Honor Is Dead makes for a listening experience with real depth, and a broad emotional range. Driven by a darker lyrical theme, the album's 11 tracks hit with devastating force - see below for the official track-listing! WOVENWAR is currently on tour in North America with SOILWORK, UNEARTH, BATTLECROSS, and DARKNESS DIVIDED - see below for all dates!